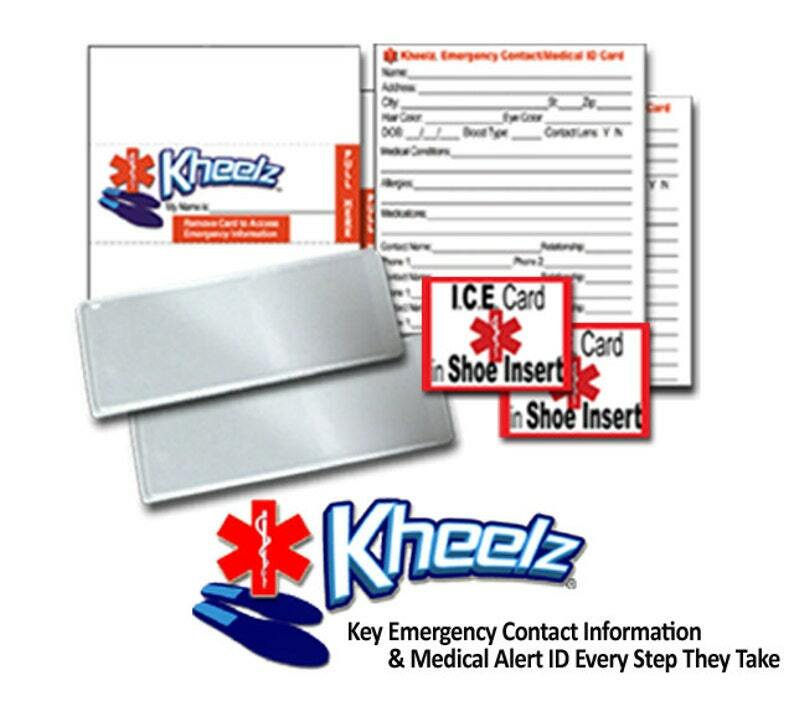 Kheelz ICE Card & Medical Alert ID System provides parents and adults with a safe, secure, simple and very affordable way for people young and old to carry a detailed ICE (In Case of Emergency) Card and Medical Alert ID with them, wherever they go, every step they take! First Responders are trained to look for medical alert tags. 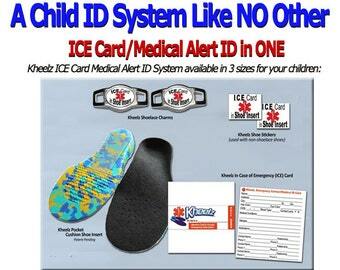 Shoe tags/stickers are a highly accepted form of medical alert ID, especially for children. Medical alert jewelry can cause choking hazards, easily lost, broken or forgotten to be worn. 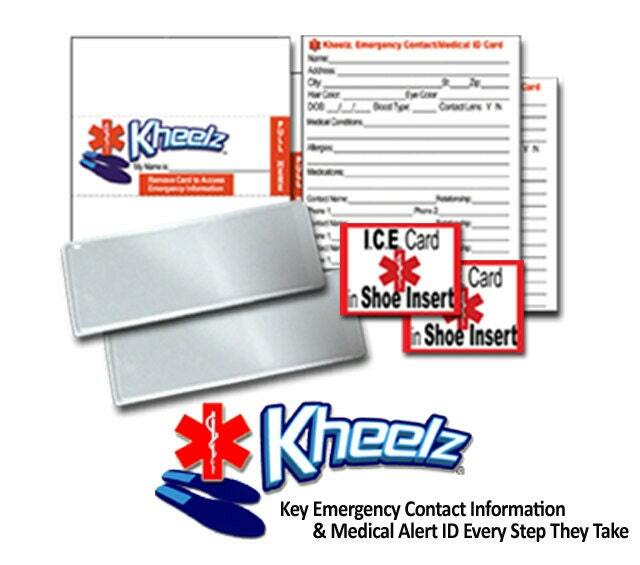 If a child or adult with Alzheimer's is in any emergency situation like they are lost, afraid, injured and/or cannot speak, their Kheelz ICE (In Case of Emergency) Card will speak for them by providing caregivers, First Responders and other medical professionals medical information to make critical timely decisions along with several emergency contact numbers to get in touch with loved ones. 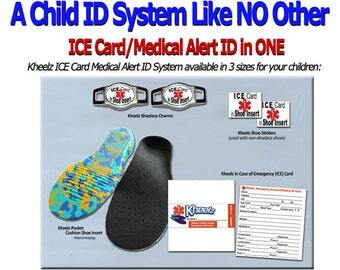 How Do Kheelz ICE (In Case of Emergency) Card & Medical Alert ID System Work? 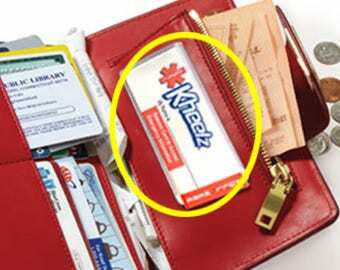 1) Fill out each (two of them) waterproof/tear proof Kheelz ICE (In Case of Emergency) Card with a ball point pen or fine point permanent marker-DO NOT USE PENCIL. 2) Tri-fold each Kheelz ICE Card. There are no brightly colored wristbands with private medical information for all to see and embarrass the wearer. 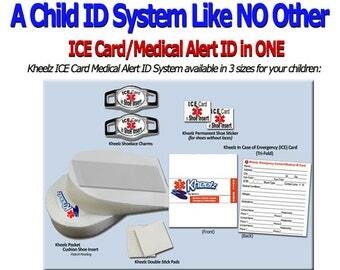 Kheelz ICE (In Case of Emergency) Card & Medical Alert ID System does NOT rely on electronic card readers or computer devices that First Responders must figure out how they work, no passwords to enter in order to access contact/medical information. Phones are damaged in accidents, batteries die so their medical ID apps are useless. 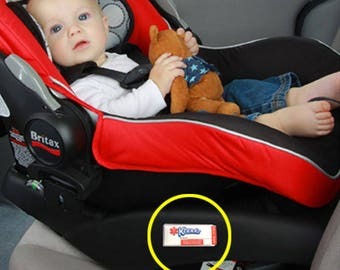 All information is private and only accessed when child's shoe is removed and Kheelz ICE Card removed from pocket area.